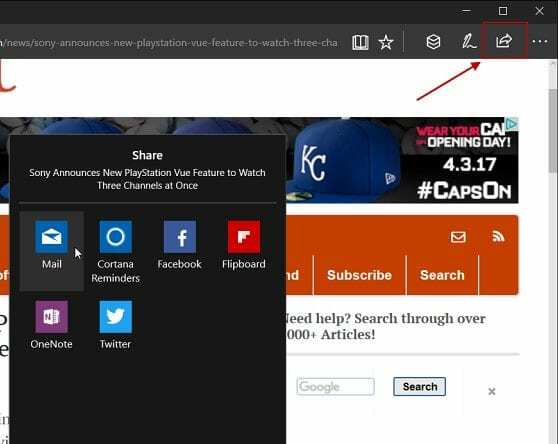 Learn how to Share Web Content Using the Microsoft Edge in Windows 10 that will help you to instantly share your favorite article or blog or any other information. So have a look at the complete guide to proceed. While browsing on the internet you may encounter with any exemplary content that you would love to share with your friends instantly. During this process, you may not to interrupt your browsing experience too. But let you consider about the actual procedure of sharing links or any content to the friends, it takes a lot of time to perform this simple action and you ideally have to wait for too long before carrying forward your browsing. Explaining that all, you will have to first copy the link or the URL you wish to share or you will require to drag your mouse around the quality content to highlight it all and then emphasize what you are dealing with, that is share it with your friends etc. The Microsoft web browser installed in Windows 10 makes it much easier for the users to share almost anything inside the websites or the URL’s while doing the surfing. The people can share the web content using the amazing new feature inside the Windows 10 through Microsoft Edge! 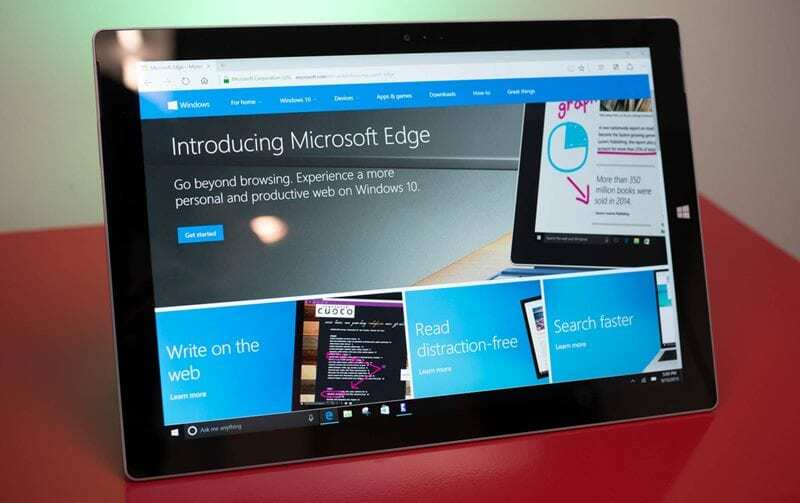 Here in this article, we have discussed the whole way of using of Microsoft Edge to share web content instantly, and if you wish to know about the process of doing so then please read this full article! The method is quite simple and easy and you just need to follow simple step by step by the guide that will help you to easily Share Web Content Using the Microsoft Edge in Windows 10 that will give you an amazing experience. So follow the below steps to proceed. 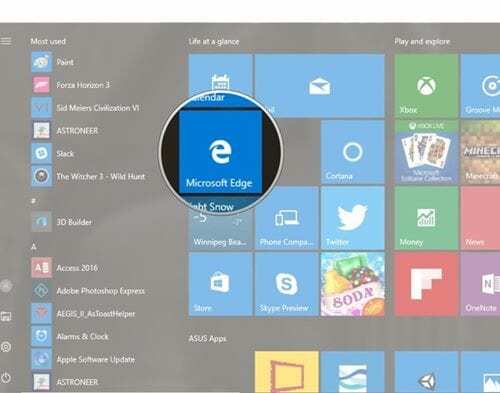 Using the Start menu of your Windows, search for the Edge browser and then launch it up using the results. You can alternatively open the browser through the Quick launch panel. For the beginners to the windows section it can be hard to locate the browser but for any average user, this is quite easy to perform this up. Now those who have opened the browser please check on to the another step for a method. Navigate to the page on the web browser through where you can actually like to share any sort of content. Simply saying you have to go to the page from where you will be sharing the content of your liking to anyone else. Remain inside the web browser only because we will be using the inbuilt feature only to share the content or the links. Now once you have reached to the page and chosen your content you need to look for the Share Icon that will be there on the top right corner of the browser screen. This icon will be helping you to share the content quickly, so start to utilize it by clicking on it. While it should be noted that the design of the icon will be different for every alternate version of the Edge browser so don’t get confused with the step. The above step will launch the panel that will be containing numerous apps in which all you can share the content you wish. So just select the app through which you wish to share the content and then proceed further for the ascension of the command. From there onwards you will be getting all the option to share your selected content with that particular app. By using the options you can also share the screenshots of the pages, links and the media content too. By far this is the most convenient way to share the content through inside the Edge browser only! The best method of prevention of the time wastage during the browsing is to take less time to share any content with other people. We said this because sharing of things were analyzed to be the most abrupt reason for the users to turn away from the websites. All over, considering about the main motive of this article, you would have got to know about the exact way of using the Microsoft Edge browser for sharing any web content instantly and in few clicks. I hope that you will like this article and if it is so then please tend to share it more to your friends so that they can also know about the method. Also, tend to provide us with your valuable opinions or suggestions regarding the article and you can do it through the comments section below!